We got a hold of some neat lighting gear from Crazy PC. Nick sent over a case mod kit called the Glowire. 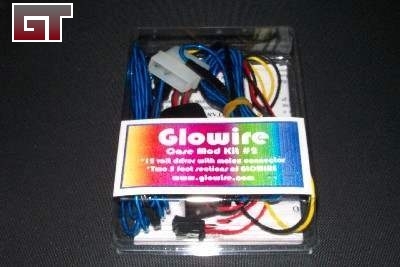 Pretty self explanatory, its a wire that glows like neon. Labeled as a case mod kit, you can stick it anywhere you want. For our purposes, we'll concentrate on adding this to our cases. The wire itself is a copper wire coated with a phosphorus material and wrapped with two tiny transmitter wires. When the driver (a unit that powers the wire, the black box you see above) provides power through the wire, it produces a glow depending on the amount of voltage passing through. 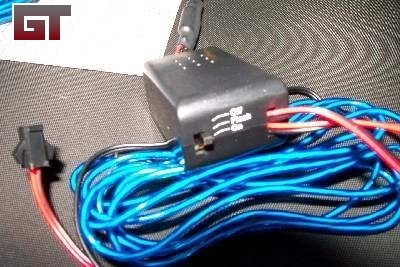 Normally it takes the DC power from the molex and transfers it through to the driver to AC power for the wire. The driver included is 12v and from what Glowire mentions, the higher the voltage the quicker the light dims out over time. Neat stuff. 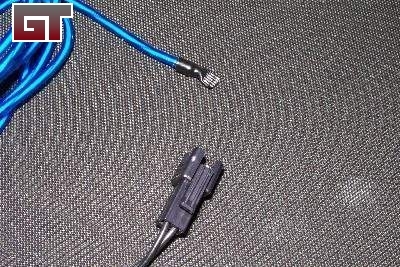 The ends of the wire are situated with a termination (Pic #1 top) and a adapter (Pic #1 bottom and Pic #2) that plugs into the driver. The termination is needed to prevent any kind of moisture to get into the wire. Also useful to prevent it from shorting out. The driver has an on, flash and off switch. On keeps it on, flash makes it flash and off turns the whole unit off. 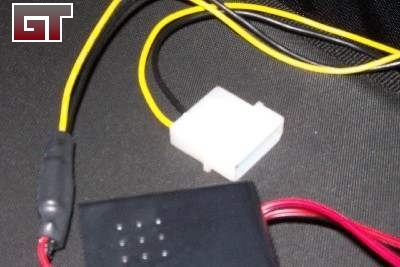 Also on the driver is a molex connector. 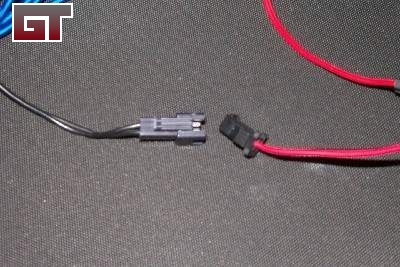 It isn't a pass through, so you're going to have to sacrifice a molex connector on your power supply for this one. 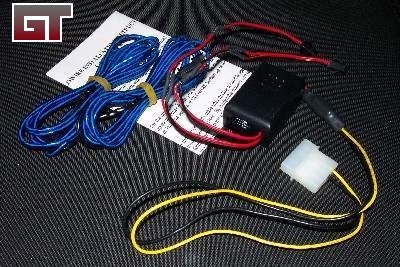 Of course, you can always get a Y-Splitter.